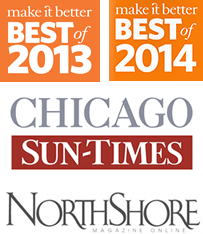 Dedicated to providing the highest standard of healing and wellness on the North Shore, Massage Therapy Center of Winnetka stands apart from the rest. Massage services range from advanced clinical pain treatment to deep relaxation and stress management. 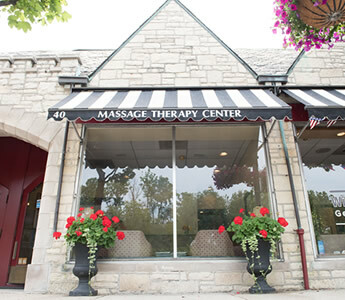 Located in the Indian Hill district of Winnetka, we are open from 8 a.m. to 8 p.m. seven days a week. Extended hours are often available. Not all massages are created equal. Whether you are looking for relief from pain, repair from injury or to deeply relax our licensed therapists provide a wide range of specialized techniques to customize your massage therapy treatment. Located in the heart of the North Shore, for over 25 years we have established a reputation for being the referral source for clients seeking relief from sports injuries, chronic pain conditions, pre and post-surgical support as well as deep relaxation and stress reduction. Within walking distance of New Trier High School teen athletes have incorporated our massage treatment into their training regimen to repair and prevent injury and stay in top physical form. We offer a wide variety of therapeutic massage services.